You probably can’t. You know the month, the year, the day of the week. There is a clock on your wall or the dashboard of your car. You have a schedule, a calendar, a time for dinner or a movie. Yet all around you, timekeeping is ignored. Birds are not late. A dog does not check its watch. Deer do not fret over passing birthdays. And, because of this, man alone suffers a paralyzing fear that no other creature endures. 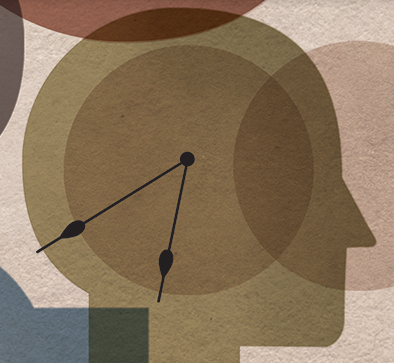 How do our minds make sense of such vastly complex concepts like time? It’s a perennial cognitive science question and one taken up by Mitch Albom in his novel The Time Keeper. The book is about an ancient man named Dor, the inventor of the first clock and a time keeping hobbyist. As a punishment for trying to measure time, Dor is sent to a cave for 6,000 years. While in the cave, he hears voices from people all over earth, constantly asking for more time. He experiences intense loneliness, and quickly realizes that the immortality he’s received is no gift. When he’s allowed out of the cave, he’s given an hourglass that lets him selectively slow time to a near halt and the task to teach two people what he’s learned about time. One of these people wants too much time. This is Victor Delamonte, fourteenth richest man in the world and dying from cancer. Victor decides that he will have his body cryogenically frozen, to be rejuvenated and cured once medicine has advanced enough. Victor wants to live forever. The other character Dor is sent to help wants too little time. Sarah Lemon is a high school senior who has been humiliated and cast off by a boy she mistakenly believed to be her boyfriend. Sarah wants to die. Like most of us, Benedict Carey grew up with the belief that in order to learn best, one had to find a quiet, designated study space. Practice was the only path to perfection. The Internet and all other electronic devices should be turned off lest they disturb your concentration. Highlighting and rereading notes, if done frequently, will improve your test scores. Forgetting is the enemy of learning. Yet most of these adages are far from the truth. Distractions can actually aid learning in ways that remaining focused cannot. Studying in the same spot repeatedly may weaken your grasp on the subject. After an intense study session of revising notes, we feel confident we know our subject inside out, but we still barely manage a B on the test. Why? Distraction can aid learning. While this is not an absolute (checking Facebook during a lecture does not help you learn what the teacher is presenting you), it certainly has much potential, especially in today’s society. While stuck on a difficult math problem or other similar pit, taking a study break can definitely boost your ability to solve the problem the second time around. Does this mean taking an hour-long nap will have similar effects? Absolutely! And it can possibly help even more than a simple distraction. Sleep is your friend. Most people know that sleep can help consolidate learned facts and motor skills, but few people know when such benefits occur in the night. Each night is comprised of several cycles, alternating between a deep sleep and a more wakeful one. The times in the night when you sleep the deepest occur around the first 2 to 3 hours of sleep. This deep sleep has been found to reinforce the learning of rote facts. Yet if you are preparing for a music recital (which would involve your motor skills and learning), your peak of the night would occur slightly later. Highlighting and rereading of notes will not carry you far. In fact, you will feel as if you know the subject manner by heart, but will be disappointed when you see an unexpected score on your test. What happened? You knew the content so well, right? The danger of highlighting and rereading is that it gives you the impression that you know the material, when you actually are only familiar with it. The best way to review content is to maintain a “desirable difficulty” (as coined by Dr. Robert Bjork) in your studying. This means that testing yourself (as opposed to just reading the content) will help you retain the material much better. So you can dig up those flashcards you never thought you’d use again. This applies to preparing a speech too, in that you will be better prepared if you practice reciting your speech instead of just rereading your notes. Interleaving helps retain information best. If you are asked to memorize the styles of 12 different artists from different eras, do you think you would do best by studying all the works done by each artist one at a time (a method called “blocking”) or by mixing up the artists? If you are like most, you may choose to study by blocking. However, this has shown to be significantly less effective than mixing up the artists (interleaving) and studying that way. Ever noticed that when you do your math problems (by each section), you understand right away and feel like you mastered the skill, yet come time for the test, you are confused by which equations to use? This can easily be avoided with interleaving, which would mean, in this case, that you include problems from previous sections along with the night’s homework. Your study corner is a trap. There have been several studies that looked at the effect of location on retention and found that if you studied certain information in a particular spot and were tested on it at that same location, you do better than if you studied the material in one place and tested in another location. The same is true for body states (hunger, influence of drugs, mood…) or when listening to music. You do best when these stay consistent. Yet it is often too hard to study and test in the same location, and more importantly, it becomes harder to recall the information when not in that same area. The answer is to vary your location when studying. If you only study in one location, the information will unconsciously (though not on a large scale), be tied to that location. This means that if you move to another spot, your recall will not be at its optimal. However, by altering your study spots, you can avoid this dependence on your surroundings and possibly increase your score on the next test. These are just a few of the topics Carey explains in his book, and there are many more discovered since the book’s publishing. Therefore, I highly recommend that you look into this book and share your findings with others. It’s a shame so few people know about the science of learning, despite the fact that their lives revolve around it. One day as I was clicking through Amazon, the site recommended a book with the word Curious across a black cover with an owl beneath. Naturally, I was curious: A whole book on curiosity? How much is there to say? About 45 seconds later, I was reading it. It was a fun read, peppered with stories, descriptions of research, and historical anecdotes. It was filled with rich quotes, by the author and many others that have written about the topic over centuries, and I’ll let those quotes drive this review. Curiosity is not just one thing. Ian Leslie describes three types of curiosity, distinguished by the contexts in which they arise and the behaviors they encourage us to seek out. Diversive curiosity is an attraction to things that are novel. I imagine a dog on a walk, pausing to inspect every seemingly new patch of dirt, trash, or fire hydrant. Humans show a lot of diversive curiosity too, like when we scroll through a Twitter feed or flip the TV channels 30 times in a minute. It’s not just a low-level type of curiosity, but instead is a starting point that drives us to seek out new experiences and people and paves the way for two deeper types of curiosity. Epistemic curiosity manifests when diversive curiosity is honed as a quest for knowledge or understanding. It is “deeper, more disciplined, and effortful” than diversive curiosity, a desire to understand how the world works. Psychologists use the term Need For Cognition (NFC) as a measure of intellectual curiosity. People with a high NFC thrive on and enjoy intellectual challenges, while those low in NFC prefer their mental lives to be as straightforward as possible. Empathic curiosity is the drive to understand the thoughts and feelings of others, which we can attain by learning to put ourselves in others’ shoes. How does the Internet fit into society’s curiosity? On the one hand, we have an incredible amount of information literally at our fingertips. Naturally curious people can have a field day, and many do. But people who are lower in NFC can use the internet to stunt the development of their curiosity… which many also do. Who/what/when/where questions can usually be answered by typing a pithy phrase into Google, clicking on the first search result without reading about it, and scanning a sentence or two of the web page. This type of information-seeking is not effortful, and therefore doesn’t engage the processes at work when we truly exercise curiosity. Leslie comes back to this theme often: while the Internet has amazing potential for expanding our horizons and allowing us to share ideas faster than ever, if we’re not careful, it can also squash our curiosity, much to society’s detriment. they have definite answers… are orderly; they have a beginning and an eng. Once the missing information is found, it’s not a puzzle anymore. The frustration you felt when you were searching for the answer is replaced by satisfaction. Mysteries are murkier, less neat. They pose questions that can’t be answered definitively, because the answers often depend on a highly complex and interrelated set of factors, both known and unknown… Puzzles tend to be how many or where questions; mysteries are more likely to be why or how. He uses the question “where is Osama bin Laden?” as an example of a puzzle. Its mystery equivalent might be “how does Osama bin Laden think?” Similarly, reading a mystery novel is also a puzzle, because once you get to the end, you know who did what, and the problem is solved. Reading a novel like The Great Gatsby, on the other hand, is a mystery, because it leaves you thinking about questions that don’t have definite answers, like the true nature of the American dream. Leslie encourages people to “forage like a foxhog.” This idea, credited to the Greek poet Archilochus, is that “‘The fox knows many things, but the hedgehog knows one big thing. '” The hybrid foxhog is the compromise to the question of whether we should strive to become generally knowledgable people or aim to become experts in very specific areas. The foxhog does both of these, resulting in knowledge that can be considered “T-shaped”: The top of the T is surface knowledge, and foxhogs have a lot of it. The other part of the T is its slender, lengthy spine. Foxhogs also possess tall Ts, because they have intense knowledge about at least one area. In other words, “curious learners go deep, and they go wide.” As a side note, robust, healthy Ts are precisely the goal of a PhD program, designed to make you smart in a way that will be conducive to having happy hour drinks with many people (academics) while becoming so knowledgable about your own field (or subfield, or sub-subfield…) that sometimes you have to teach your advisor what you’re doing. Leslie emphasizes that “a person’s curiosity is more state than trait.” That means that although we are born with varying degrees of innate NFC, curiosity is highly influenced by our surroundings. Questions are crucial. They’re tools through which we learn incredible amounts of information about the world.While asking questions may seem like a very basic ability, it actually requires a few important skills: you have to know that there are things you don’t know, you have to be able to imagine that there are different possibilities for the things you don’t know, and you have to recognize that other people are sources of information. A kid between the ages of 2 and 5 will ask roughly 40,000 explanatory questions. And when kids are spoken to by adults who ask questions themselves, the kids begin to ask more. The moral of that story is that asking kids questions gets them to also ask questions, which helps them not only learn about the world, but also to learn that inquiring about the world is a fruitful behavior. The truly curious will be increasingly in demand. Employers are looking for people who can do more than follow procedures competently or respond to requests, who have a strong, intrinsic desire to learn, solve problems, and ask penetrating questions. They may be difficult to manage at times, there individuals, for their interests and enthusiasms can take them along unpredictable paths, and they don’t respond well to being told what to think. But for the most part, they are worth the difficulty. Angela Duckworth is well-known for popularizing the concept of grit: “the ability to deal with failure, overcome setbacks, and focus on long-term goals.” Grit has been demonstrated to be an incredible predictor of success in many areas of life. I once heard two professors talking about the most successful grad students as those who have grit, and their conversation plays through my head on a weekly basis, if not more often. Grit and curiosity go hand in hand. If you’re curious, you just keep learning and exploring, even once you’ve learned what you set out to know. If you’re gritty, you just keep going, even when obstacles arise and the goal you’re pursuing becomes more difficult. To be curious, you have to know things. One way of thinking about curiosity, attributed to George Loewenstein, is that there’s an information gap: you know some things about a topic, and then realize that you don’t know everything, but that you can learn more. This creates an awesome cycle: the more you learn, the more you want to learn. Oliver Sacks was a neurologist, professor, writer, and role model for many in medicine and other scientific fields. He had a unique ability to view patients in context, a refreshing opposition to the common tendency to treat each symptom in isolation. He wrote prolifically about his patients and what they could teach us about the mind, brain, and body. And his books were widely accessible – no M.D. needed to understand their contents. When he died recently, many people wrote moving tributes to Dr. Sacks and his life. 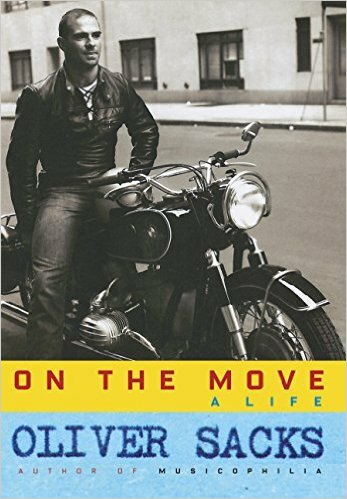 As I read some of these, I realized that I had read startlingly little of his writing, so I decided to read his memoir, On the Move. Sacks doesn’t seem to have much of an agenda with this book besides to share his life story. We learn about everything that was most important to him – people, places, jobs, and interests. In many ways, this book reminds us that even this revered doctor is still a person like the rest of us. There’s tension in his family, people who criticize his work, and he has his heart broken. At the same time, though, I often found myself thinking, he’s really not just like the rest of us – there’s something special here. I think that many of those unique traits contributed to his success, so I’ve tried to compile a few here. He passionately pursued things that were far from his work. One of these activities was weightlifting. Lifting didn’t seem to be a just hobby for Sacks, but instead became a central part of his life at times. This quote hilariously sums up his commitment: “Rationing myself to five double cheeseburgers and half a dozen milkshakes per evening and training hard, I bulked up swiftly…” He did end up setting a lifting record in the state of California, further proof that this was not a half-hearted diversion for him. On a related note, he threw himself fully into everything he did – especially his work. When he had a goal, it seems that nothing could stop him from achieving it. “It was the first of September, and I said to myself, ‘If I do not have the finished manuscript in Faber’s hands by September 10, I shall have to kill myself.’ And under that thread, I started writing.” That’s certainly one approach to getting your writing done on time. He embraced writing. He explains that “It seems to me that I discover my thoughts through the act of writing, in the act of writing.” Although it seems that he was sometimes able to sit down and write prolifically for hours (at one point he refers to an “explosion of writing”), he also shares his lulls. His book A Leg to Stand On gave him prolonged trouble, taking almost 10 years to complete. These are not necessarily traits that we can force ourselves to have. Oliver Sacks was a truly unique person who produced insightful and inspiring work. But knowing a little more about the person behind this phenomenal physician and writer may help us to embrace our own oddities and see the ways that they contribute to our unique successes as well. In a previous post, I wrote about my introduction to the multidisciplinary publication Nautilus, whose current issue’s topic is Time. Like photos in an album, the causal links between [the scenes of our lives] must be inferred. And we do that, in part, by considering their sequence and the minutes, days, or years that pass between them. Perceptions of time and causality each lean on the other, transforming reality into an unreliable swirl. In this article, Hutson tackles the widely-asked question: Why does time fly when you’re having fun? 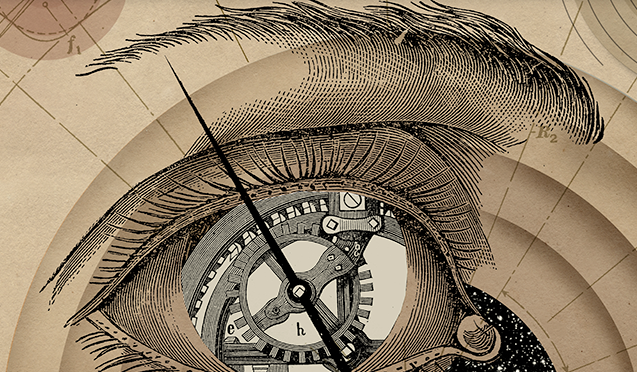 There’s a generally accepted model of our perception of time as a pacemaker. The pacemaker emits “ticks,” which are general bursts of neural firing, and they’re collected by an accumulator. To perceive time, we compare the number of ticks acquired over a given time to some reference stored in memory. If we’re distracted from these ticks, however, as is likely to be the case when doing something fun or something that puts us in a state of flow, we’ll perceive fewer ticks and consequently perceive that less time has passed. On the contrary, when we’re doing a task that requires attention, we might be hyper-aware of the accumulation of ticks, and time might speed up. Intriguing as this model is, no one has discovered correlations in the brain for the proposed pacemaker or accumulator. In another study, participants were told that the experiment was on disgust and involved drinking a mix of ketchup and soy sauce. The more they drank, they were told, the more they would further science. Some participants had to agree to an amount that they would drink that day, others to an amount they would drink next semester, and still others to an amount that their friend would drink today. The group that had to agree to an amount they would drink in the present pledged to drink significantly less than the participants who were agreeing for their future selves or their friends (and the pledge amounts for future selves and friends did not significantly differ from each other). Again, it appears that we think of ourselves in the future in the third person, in the way that we think of others. The solution to reducing procrastination or making better decisions in the present, it would seem, must involve strengthening our connection to our future selves. This chapter even includes a short time-inspired fictional story, reminding me of how many different and interesting ways there are to approach the topic of time. 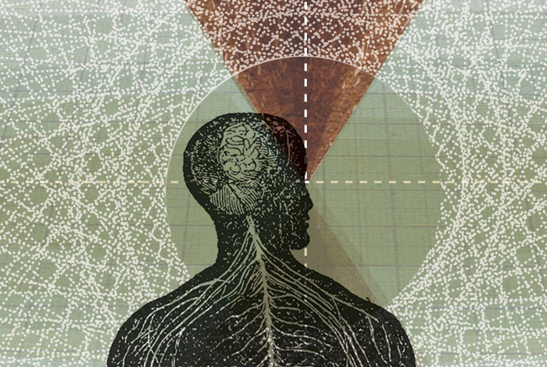 A friend recently turned me on to Nautilus – a self-proclaimed “different kind of science magazine,” that weaves science together with philosophy and culture. Each issue has a general theme and is comprised of 4-5 chapters, one published every week, and each containing a few different articles. There’s a ticking bomb in the corner of your awareness. The danger isn’t the bomb, though—it’s the clock. Time, that most pedestrian, over-measured, and tightly regulated quantity of our daily lives, is in a perpetual state of crisis. All things, especially living ones, are marinating in the river of time. Our language reveals how differently we think of space and time: The first as a static stage, and the second as something flowing. Despite our intuition, however, the flow of time is an illusion. Mounting evidence shows that at the most basic level of reality, time is an illusion, and stranger still, that time doesn’t really exist. After reading chapter 1, I must admit that I still don’t really know what time is, but the articles suggest that we’re all pretty confused about it and have been for many years. I guess that just gives us more to think, write, and read about.